Singers of all abilities are invited to join singer and musician Hilary James in this relaxed weekend of vocal delights. Enjoy the pleasure of singing with a group as you discover the potential of your own voice. Explore the wealth of songs within the British folk tradition and take a peek beyond: ballads, sea shanties, lullabies, comic songs and more.Hilary works largely ‘by ear’ with simple improvised vocal harmony but, for the more experienced, written parts for some songs will be available. As well as singing a cappella the group will join Simon Mayor’s mandolinists for some joint pieces. 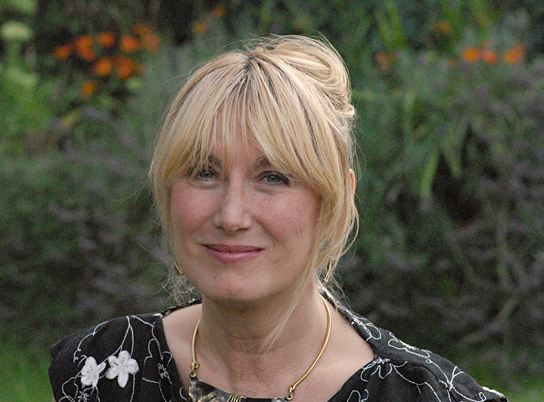 Hilary James’ “elegant singing” (Daily Telegraph) has received enormous acclaim: quintessentially English but easily crossing the great musical divides from British folk ballads to blues and Berlioz. Played on radio everywhere from to Latvia to Los Angeles – in the acclaimed duo with Simon Mayor – she’s also famed for an unusual taste in bass instruments including her giant mandobass… and she might even manage a step-dance if the wind’s in the right direction.